There are two types of people in this world. Those that like Winter, and those that don’t. Well, this post is for those of you that don’t like Winter. The solution is to be found in something very simple. Layering. 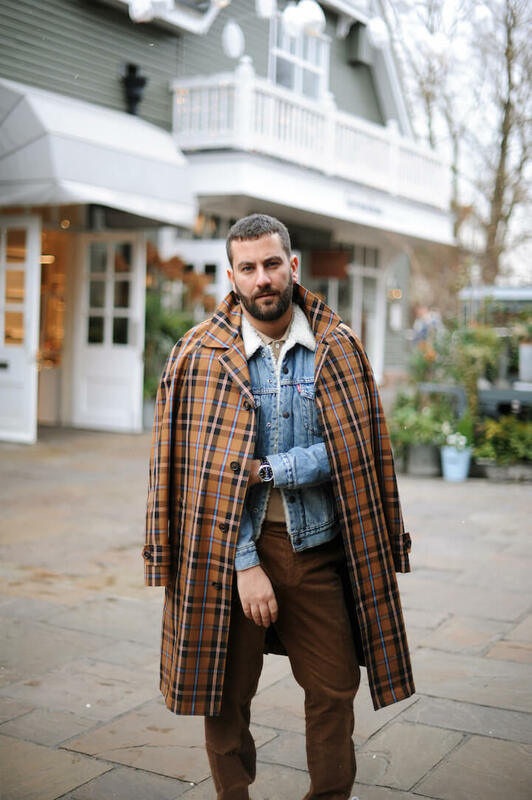 You can build a look that allows you to adapt to the changing environments of each place you visit during the day, be it a warm cafe, or a walk around the park. 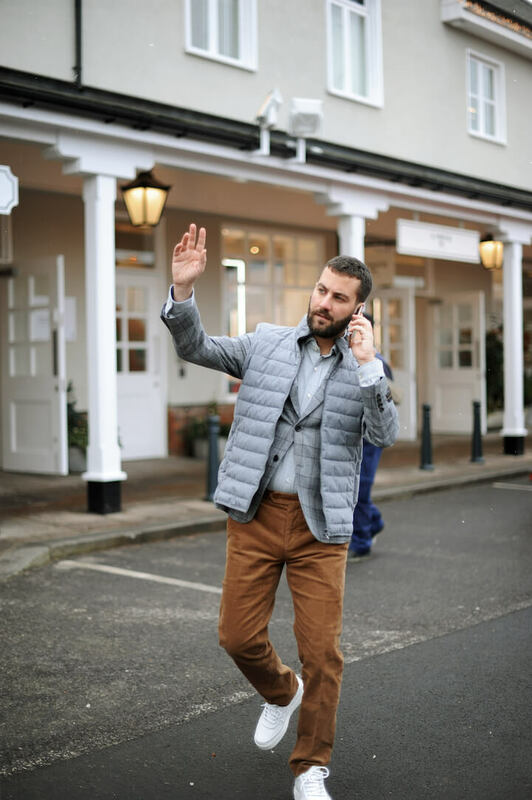 An important tool in the exercise of Layering is building your wardrobe with key pieces and my visit at Bicester Village last week simply did that! I have even found items that were sold out from most luxury stores, and of course at even lower prices! During my visit there I found these four looks and decided to share some tips on how to layer like a pro. So here are six ways to Layer! 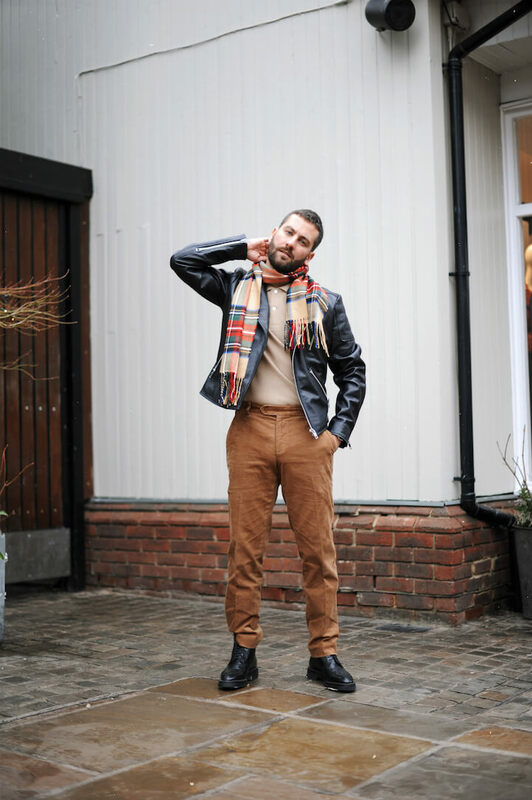 Textures: Pop a classic short-sleeve Lacoste polo and your favourite leather jacket on top, pair it with a wool scarf and your Brooks Brothers flannel trousers to feel warm. Make an outfit feel totally new again. Easily deconstruct the layers when you are inside a warmer place. 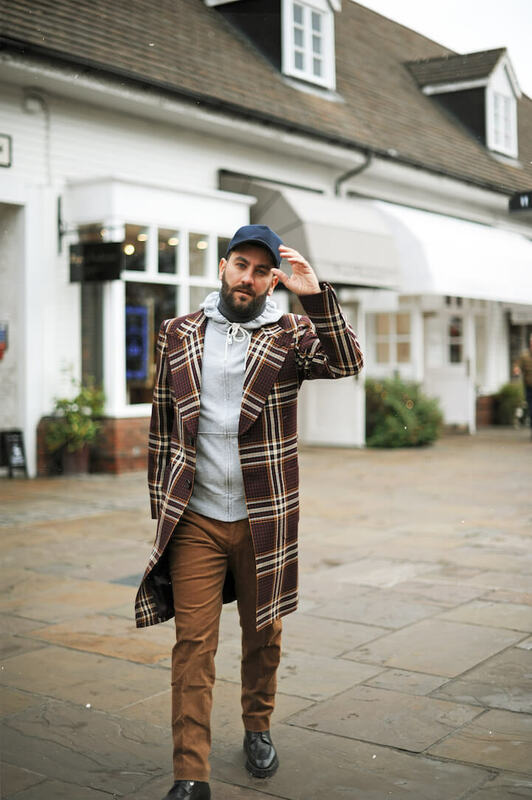 Colours and Checks: Who knew check and colours could be so perfect for layering? 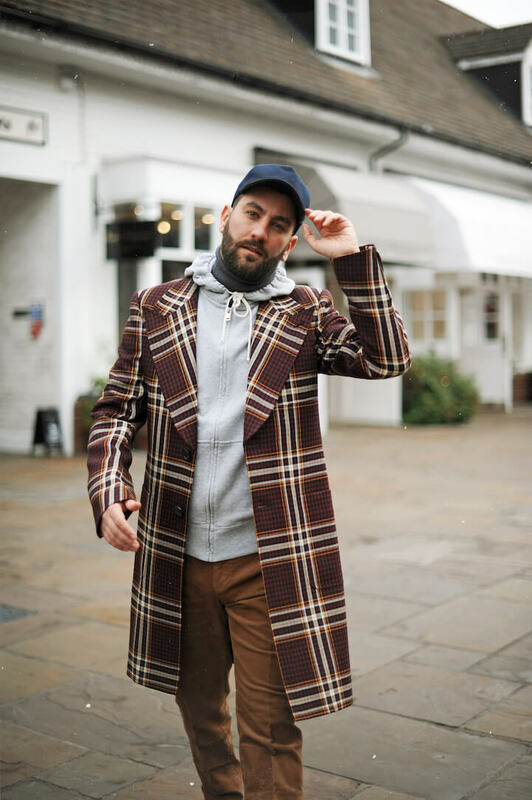 Build your look starting with the most basic of foundations: a fine turtleneck, layer with a button-down shirt and finish with a colourful knit. 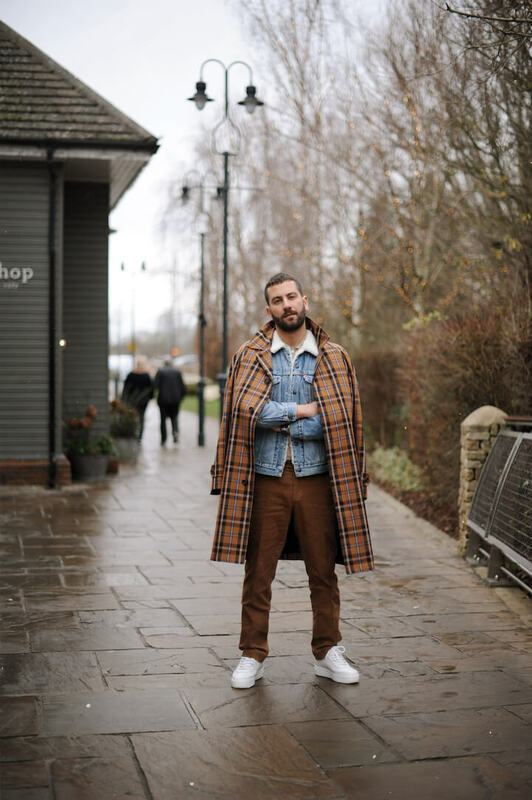 Warmth factor: Top off your summery favourite tshirts or jumpers with a long statement coat or trench and if the weather requires it with a heavy-duty scarf. 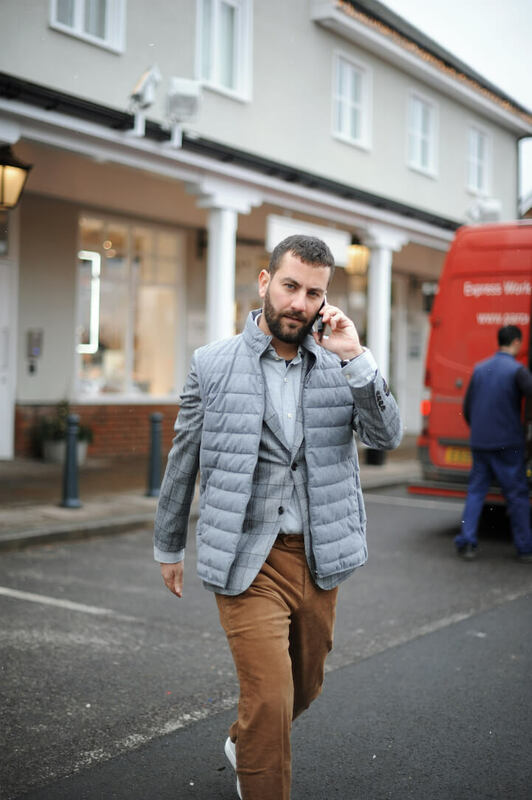 Coats and gilets: Add an extra layer of warmth between a shirt and a jacket or choose a sleeveless gilet to avoid bulking up. 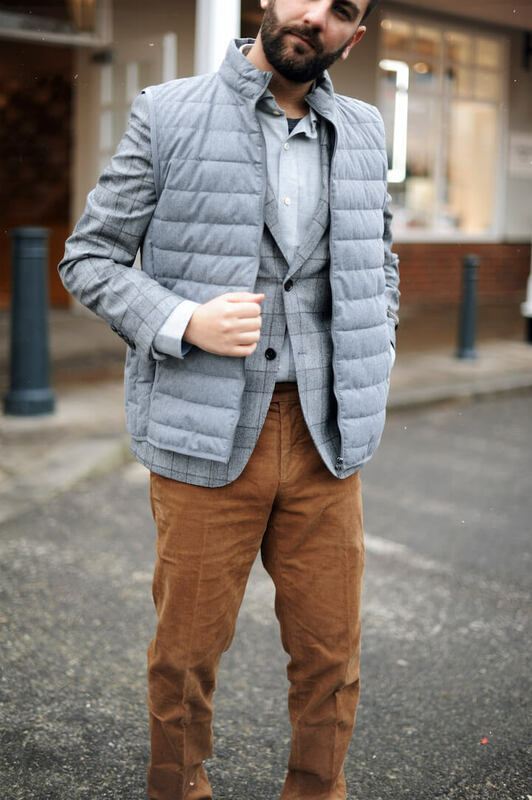 Just like this grey gilet from Savoy Tailors Guild available at Bicester Village. Denim: Give your winter wardrobe a dash of colour with a dash of denim jacket that can be seen from under your go-to coat. Lengths: A great formula to look effortlessly stylish. Use short, long, short, long layers. 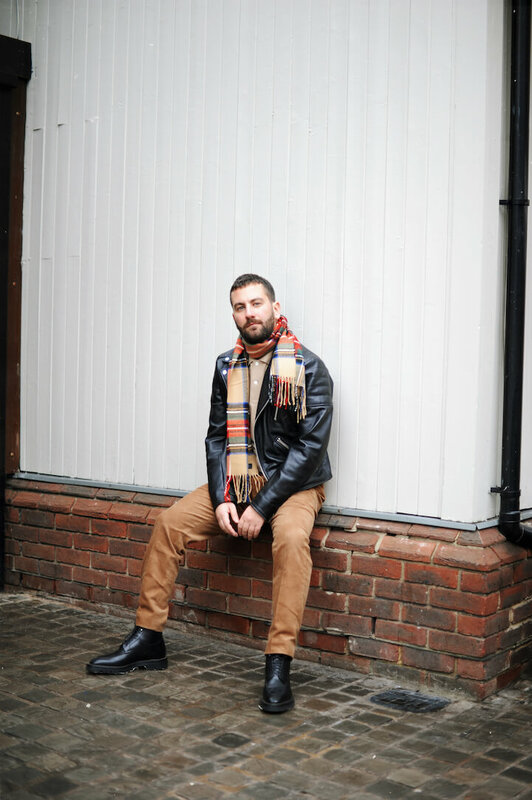 Try a pair of cropped pants and pair them with your favourite winter boots.